If you need to preserve your Visual Studio settings, there is a tool built into VS that allows to backup and restore the settings. 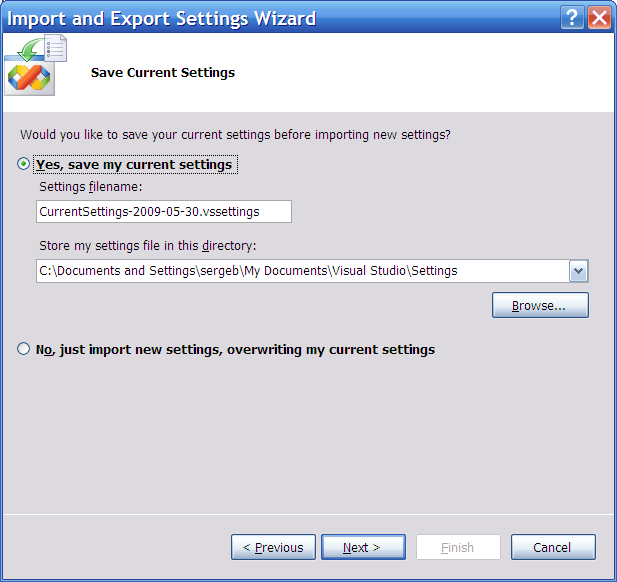 In this tutorial we are assuming that you are saving a copy of ALL settings to use by you personally as a backup. 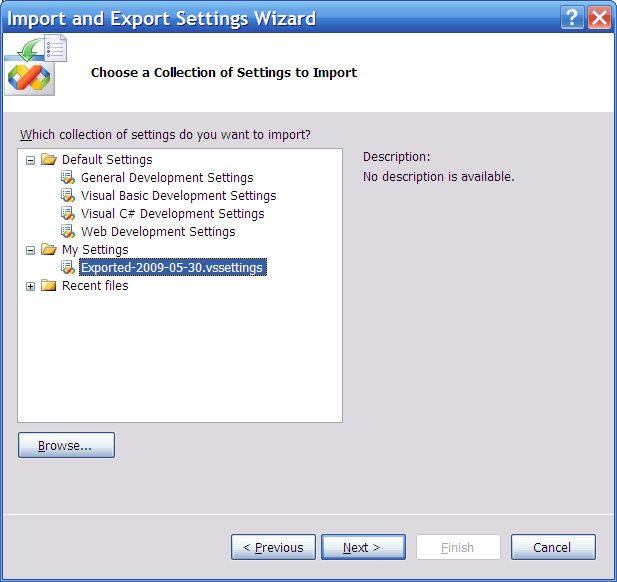 In Visual Studio use Tools / Import and Export Settings… menu to open Import and Export Settings Wizard. 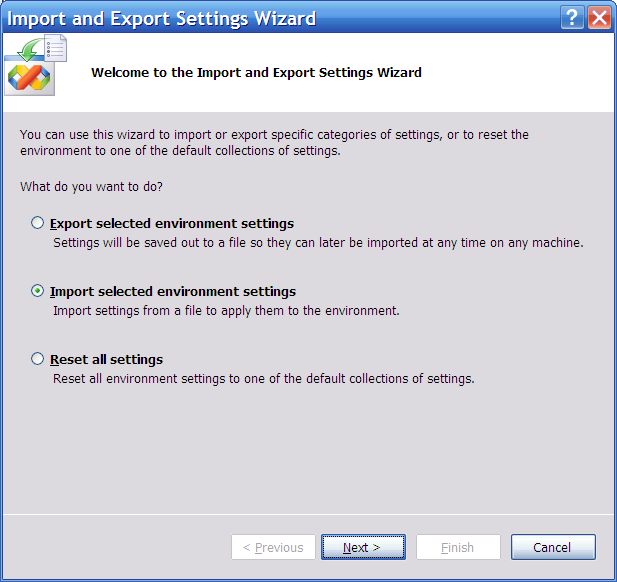 Select Export selected environment settings and click Next. To include ALL settings make sure the All Settings box is checked. Then click Next. Choose the file name for the settings backup file. Then click Finish. 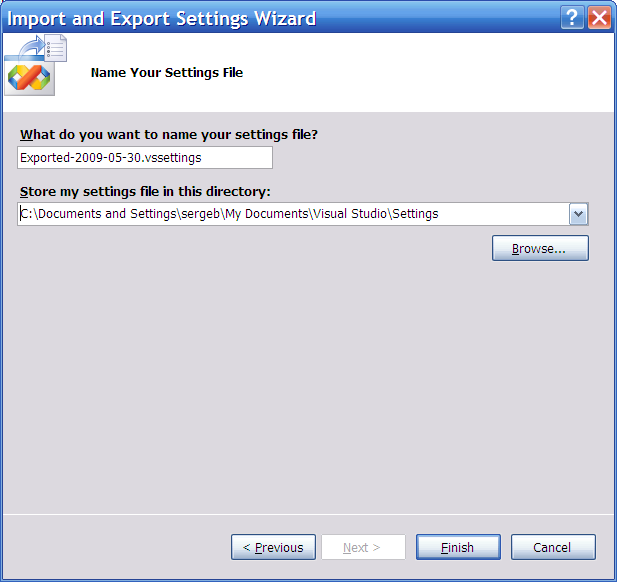 The wizard will store settings in the file. 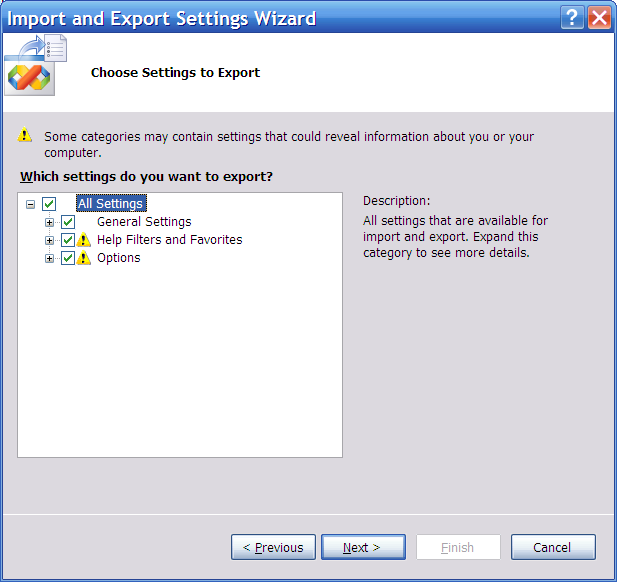 Use Tools / Import and Export Settings… menu to open Import and Export Settings Wizard. Choose whether you want to make backup current settings. Choose your backup and click Next. To include ALL settings make sure the All Settings box is checked. Then click Finish. The wizard will restore settings from the backup.